be quiet! 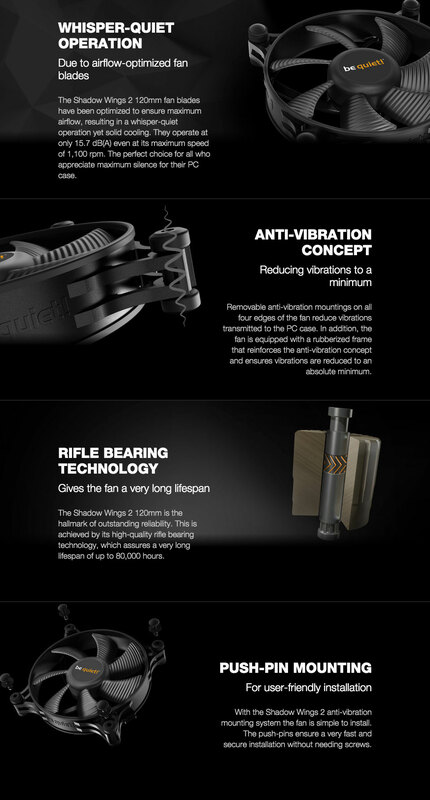 Shadow Wings 2 120mm offers whisper-quiet operation and reliable cooling at low revolutions per minute. 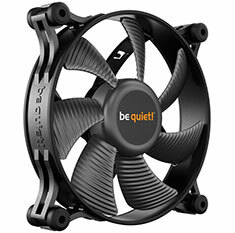 Shadow Wings 2 fans are the perfect choice for all who appreciate maximum silence for their PC case.